How and why does such a response to contradictory evidence come about? Festinger explains in his book that reason does not usually inform our decision-making. Instead, we hold on to our beliefs and adapt the facts to suit them. 1) A belief must be held with deep conviction and be relevant to how the believer behaves. 2) The person holding the belief must have committed himself to it and taken some important action <such as shunning his or her children to gain God’s favor>, which is difficult to undo. 3) The belief must be sufficiently specific and related to real-world events <Armageddon will come in 1914, 1925, 1975 or it’s ‘just around the corner’ >. 4) Undeniable evidence <that Armageddon didn’t happen> must occur and must be recognized by <the JW> holding the belief. Trying to reason with Jehovah’s Witnesses only strengthen their convictions. However, dissonance is occurring at some level. “Dissonance and consonance are relations among opinions, beliefs, knowledge of the environment and of one’s own actions and feelings. In other words, two opinions or beliefs are dissonant or inconsistent. “An attempt to reduce dissonance will take one or more forms: 1) The person may try to change one or more of the beliefs. 2) Acquire new information or beliefs that will increase the existing consonance to reduce the dissonance. 3) Forget or reduce the importance of those cognitions that are in a dissonant relationship. And if any of those attempts are successful, they must meet with support from either the physical or the social environment <like continually meeting with only JWs at the Kingdom Hall, assemblies and in social settings>. “The dissonance would have been eliminated if <the JW> had discarded the belief that was disconfirmed <and stopped attending meetings and proselytizing>. “But more frequently, the behavior commitment to the belief system is so strong that almost any other course of action is preferable. It being less painful to tolerate the dissonance than to discard the belief and admit one had been wrong. Yes, <JWs> blind themselves to the fact that the prediction has not been fulfilled or a core belief has been exposed as blatantly incorrect. McLeod reports that Festinger’s cognitive dissonance theory suggests that we have an inner drive to hold all our attitudes and beliefs in harmony and avoid disharmony (or dissonance). “Attitudes may change because of factors within the person. An important factor here is the principle of cognitive consistency, the focus of Festinger’s theory of cognitive dissonance. This theory starts from the idea that we seek consistency in our beliefs and attitudes in any situation where two cognitions are inconsistent and that a powerful motive to maintain cognitive consistency can give rise to irrational and sometimes maladaptive behavior. “According to Festinger, we hold many cognitions about the world and ourselves; when they clash, a discrepancy is evoked, resulting in a state of tension known as cognitive dissonance. As the experience of dissonance is unpleasant, we are motivated to reduce or eliminate it, and achieve consonance or agreement. 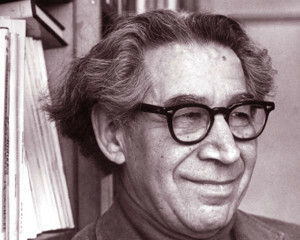 “Cognitive dissonance was first investigated by Leon Festinger, arising out of a participant observation study of (an apocalyptic) cult that believed the earth was going to be destroyed by a flood, and what happened to its members—particularly the really committed ones who had given up their homes and jobs to work for the cult—when the flood did not happen. So if you are not one of Jehovah’s Witnesses – or if you are an ex-JW – be forewarned if you think that you can actually change the beliefs of an active JW by just presenting facts and figures. Even if the JW is a member of your immediate family or a close friend, you have little or no chance of changing a JW’s belief if he or she is actively proselytizing, regularly attending meetings and restricting his or her social contacts to fellow believers. Your logical refutation of Jehovah’s Witnesses’ bizarre beliefs using facts and figures will most likely reinforce (according to Festinger) their teachings, phobias, and fears and only serve to strengthen the policies imposed upon them by the Watchtower Society. Thank you for sharing this. Good read, I will share with others. Logically refuting their erroneous beliefs is not all for naught though . In time , some appreciation may show up , and it will help to reinforce their correct understandings . And as the time draws down to the end all will see the real truth , standing before Christ . So my point is that giving up on loved ones who are still JWs is not a good option for me . I was in a tactful rescue work as a Witness and will on occasion lend a hand toward those I left behind . . . takes time and unfading love . . Above validates that no one can change the beliefs of some one else. The awakening must come from within the witness him/her self. Thinking back, I can see so many inconsistencies in the Wt way but took a long time for me to face the questions including that of the youth not being allowed to think and reason for themselves and prepare for life in the “real world” with generations who have lived their lives as Slaves for “the god The Watchtower” at any cost even to divisions in the families – disfellowshipping, shunning, cutting off their own. “if one does not provide for his own is worse than an unbeliever? But then beliefs can change but Faith in God and how we treat one another produces better people and lives. “I SHOOK hands with the devil.” So said the commander of the United Nations forces in Rwanda, reflecting on their failure to stop the genocide in that land during 1994. Commenting on the unbelievable savagery at that time, another observer stated: “If someone still dares to deny Satan, meet me at a mass grave in Rwanda.” Are such atrocities really the work of the Devil? Rwanda is one of the fastest growing country in the coverage (%) of Jehovah’s witnesses. With no convention announcements and speakers saying we had maybe only weeks before it started we all turned our attention to Oct 1 Special Meetings arranged worldwide by speakerphone. I remember sitting there and listening to the talk and was confused. My dissonance was pretty strong. I also clearly recall walking out wondering what just happened. I then shook my head and totally accepted the “new light” about the timing of Adam’s creation to the end of the 6th day. Like all the JWs around me it made total sense. Or at least we wanted it to because to consider our previous beliefs as wrong was unthinkable. So we didn’t think of it as being wrong. It was an “adjustment” in our understanding. How wonderful that we had the Governing Body who would give us “new light” when we most needed it. As I was reading the above article, I was thining that yes the shunning thing was important. So was selling your home to serve where the need was greater. But many people never did those things. But all dedicated Jehovah’s Witnesses had given up years of their lives for a cause: to serve Jehovah and the hope of the new system or paradise. They sacrificed family/children, careers, education, hobbies and interests, as well as their time preaching, study and meetings for something that didn’t happen. No one wants to admit they sacrificed so much for nothing. So any plausible explanation is grasped tightly as proof they weren’t really wrong. Just their timing was off and they could not have known that until Jehovah told the GB about it. So there’s nothing we can do to help? Candice, there is much that we can do. But we will need to fight some battles wisely, knowing the mindset of someone who is being psychologically manipulated (unduly influenced) all the time. There is a great deal we can do to help, but the key is that it will take time. And you have to know the best moment to intervene. In the case of my wife, I had to wait more than 20 years for the right moment to help her to open her eyes. I had to wait until the timing was right. In her case, the right time to intervene was when the local body of elders psychologically, emotionally and verbally abused our family. I realized that this was the right moment to act, because she was shocked and appalled at their behavior. I told her that I too, was horrified at their unchristian behavior, and that it made me wonder myself whether or not an organization supposedly put into place by God himself could allow men such as this to hold positions of authority. I asked her if she was interested in the way the current elder arrangement came about, and then got her a copy of Crisis of Conscience by Ray Franz. She did not pick it up for several weeks, and I did not press the issue. She thought the elders would come and apologize for their unchristian behavior, and that everything would go back to normal. Much to her surprise, the elders not only did not apologize, but told many in the congregation not to associate with our family because we were “causing divisions” in the congregation. This so infuriated her that she started reading the book. I then got her a copy of the next book by Ray Franz, In Search or Christian Freedom, and she devoured both of them within a month. Her path to freedom was wide open. I then bookmarked the website jwfacts.com on her laptop, and the process accelerated. The information is so freely available and easy to access, that she was free of the organization within a few months. Not that the process was easy. There was a lot of guilt, second guessing, and reflection. She was an active Witness for 40 years, and Witness indoctrination is thorough and profound. The key was that she decided to do the investigation on her own. I did not insist that she do it. I introduced the material to her at the right moment. She experienced mistreatment from men whom she had previously trusted, and it was their misconduct that started her thinking. That was the right moment to give her the tools she needed to see the truth for herself. Those twenty years of patience paid off. She did all the research because SHE wanted to. I did not force it on her. And I gave her access to the material just when she was most likely to consider it honestly and objectively. If you want to help a Witness break free, you often must wait for the right moment to act. You may have to wait much longer than you wish to. And the key is that they must make the decision THEMSELVES to do the research. You provide the material, and step away. They will rarely consider it if they feel under pressure to do so. Considering how hard Witnesses must study to get into the organization, it is often that same level of determination which helps them find the way out. Once they are determined to find the truth, nothing will stand in their way. Step aside, and their own desire for the truth will take over. It is heartbreaking to watch Witnesses suffer cognitive dissonance, and labor in vain for a human organization. it is even more heartbreaking when it is someone you care deeply for. But knowing the right time to intervene is crucial. If you try to force it on them, like the article points out, you may make the situation worse. There are no easy answers. Remember that you cannot change their minds. They must do it themselves. And when they achieve the freedom you so desperately want for them, it is the greatest feeling in the world, for both you and them ! Andrew, thank you for sharing your story. Yes, there is always hope. It took my wife, Helen, 22 years before she could break Watchtower’s sinister spell. And her story was very similar to your wife’s Epiphany. So it can be done, if one has the time and patience. Thanks for your advice. It truly is heartbreaking to watch someone you care about remain trapped but I have actually seen my eagerness to help them break free result in a shutdown. So now I’ll continue to wait, hope and pray. The great irony of these kinds of situations is that it is often true that the harder you try to help someone break free, the more convinced they will be that they are right. You must understand that Witnesses are told, loudly and often, that Satan will try to destroy their faith. Your loved one may view your intervention as such a ploy by Satan. Love is the key. Patience will allow you to see the appropriate time to intervene. It may not be at the time you hope. The opportunity may arise, as it did with my wife, with an unexpected encounter with someone in the congregation, or some other event you may not anticipate. Be patient and loving. You will get your chance. Be ready to intervene with love and compassion. Thank you for sharing this, Andrew, it has given me some hope. It is good to know that it is possible to hold a relationship together despite the friction generated by opposing beliefs. Well done for your tact, tenacity and loyalty. I’m glad it gave you some hope. You will know the right time to intervene. But it may come from an unexpected source. Be ready, but not with an “I told you so.” Be ready with love and concern, and open mindedness. When my wife started questioning things, she asked me that if she decided to remain a Witness, would I support her decision. I said “Yes. You are your own person, and I will support your decision. ” That really gave her permission to investigate with no coercion from me. It helped her lose her fear or investigation. When she finally made her decision to leave, she told me she would not have investigated with the intensity that she did, if I had tried to guide her and orchestrate her research. She would have stopped and gone back, thinking that I was trying to deceive her. Only when she had the freedom to pursue and investigate on her own, with no outside influence, was she able to see things clearly. The is an old saying that you cannot reason someone out of something that they have not been reasoned into. Most people become Witnesses after a long period of study. it was not an emotional decision. The same desire to know the truth will be the desire that brings them to the point of investigation. They are the same on the inside before and after. That instinct to know the truth is still there in a vast majority of Witnesses. It may lie dormant, but it is still there. All it needs is a catalyst. That is probably why a large number of ex-Witnesses are so angry with the organization. They were tricked, and they always have prided themselves on being critical thinkers. In my local congregation, the vast majority have a disagreement with at least one major WT teaching or policy. But nobody want to admit they were duped. And they cherish (rightly so) the family relationships they know would be lost if they spoke out. Summoning one enough courage to do so often takes years, even decades. You must have patience. Ironically, the more you try to intervene, the less likely it becomes that they will begin an investigation. They key is to model open-mindedness and compassion yourself. That is the brutal truth of cognitive dissonance. The harder you push, the further the person may bury themselves in the WT organization. They need to find their own way out, with gentle guidance from you and others. Have a copy Crisis of Confidence or In Search of Christian Freedom ready, either in print form or in digital format. If they start reading, stay out of the way. The guilt and embarrassment they will feel for “independent thinking” is easier to bear without someone looking over your shoulder. It’s not easy, and there is no playbook. Love is the key. It always is. If you lose patience, think of what it would be like to have your loved one finally free. How long would you be willing to wait? Once you realize that you would wait as long as it takes, it makes it easier to be on the watch for your opportunity. It will come. Thanks for that, Andrew, I wasn’t expecting such a nice reply! I am sure you are right and love is the key. We thought we knew love, didn’t we? I realise now there is more to learn. Many thanks and all the best to you too. 1. Fantastic, and well done! I am glad for you. 2. You have given me hope that I can do the same. Andrew, thankyou for sharing what is true as i am experiencing these moments, though with different people involved of course. I have only been in this battle for 3.5 years with a beloved but is encouraging that i get glimpses of things changing within her concience. I am encouraged that recently now she is doing her own research and from her own suggestions she has studied the Bible with me, where i have shared some Biblical truths with her gently, her silence in response is golden….. Thanks again for showing me this is a lifetimes commitment which i have accepted. God bless your family in Christ. The key is to let your loved one draw their own conclusions. They studied hard to get in. That same mentality will help free them. It’s the scripture that helped me understand that all of my time was worth it. Great article. I often wondered why I ignored things like the Big Bang theory and the fact that have have been finding human remains well over 6,000 years old. I did believe both these things because there is proof but I made excuses like “maybe that is how Jehovah created these things” even though the governing body teaches the opposite. Wow I really enjoyed the above comments. My family and I left after an unusual occurrence. We were in a mixed race congregation and my husband was an elder. The three presiding elders were of a different race than the other elders. One service meeting when one of the presiding elders was giving out info, an elder of another race stepped up and took over and announced that the three presiding elders were being removed from then on. What? Horrifying to us. No reason was given no matter how much we asked. Our children were then treated miserably by other teenagers as we were. No matter what the three did – questioning, calling on the Circuit, District and on above to Brooklyn. No answers were given and they were told to just accept it. That was not acceptable. We left that hall and tried others but the door was open to questioning about everything with no answers acceptable. We had sold our home and moved to service where the need was great in 1973 and did all we could to prepare ourselves and others. And now we were unacceptable??? We had friends who were special pioneers and whatever else they could do and they had questioned things about 1977 and were told they were not in line. They eventually left together with their grown family and their children. We had been very good friends with them and supported their move. This then became the beginning of the end of our relationship with JWs. I did not read any of the material written by Ray Franz at the time but before long I did. It felt strange and disloyal but it stayed with me. After all they had been disloyal to our loyalty. Many years went by and we were not associating, even though my family, my sister and her grown children were. They were kind to us and unusually accommodating. They never questioned us but just kept saying – “well they are imperfect” That was their answer to what we had been subjected to. My husband passed away and my children married (not JWS) and we continued our lives. But at the back of my mind something was bothering me. It was the fact that we had been misled along with millions of others. I began to read everything I could – all of Ray Franz’s books (I was horrified at how he was treated). And then many more experiences were written and I read as many as I could. I was happy to find this site and hear the clear comments. I am now happy. Jean, thank you so much for sharing your story. You are not alone, and it means so much for others like you to hear your story. It also gives the outside non-JW an opportunity see what goes on behind the Watchtower’s Iron Curtain of High Control. Thank you Richard for writing this great article for us. I was a JW during 4 years and I left the cult by cognitive dissonance. Some years later, I realized that the problem wasn’t just the Watchtower, and I stopped believe in Bible too, by the same feeling of cognitive dissonance. Now I’m agnostic and I feel better this way. I guess my experience is identical of many ex-JW.